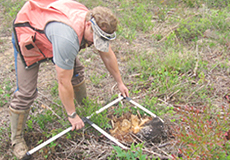 Get a vast array of ecological data collection services from the professionals at Wildlife Solutions, Inc. You can depend on us to work in remote, harsh environments using state-of-the-art equipment. If you’re preparing for a conservation easement or establishing a baseline for a project site, our team can provide you with an in-depth report providing all pertinent information in a baseline ecological survey. 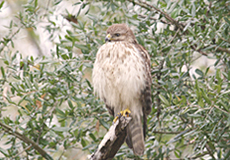 In the southeast, we have many threatened and endangered species of plants and animals. Allow us to provide quantitative field analysis and data as well as accurate GIS mapping for your target species. 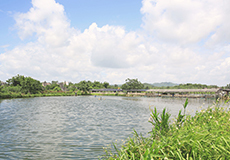 When you need wetland delineation, turn to our team. 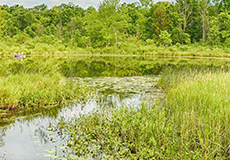 You know you can depend on us because we’ve conducted hundreds of wetland delineations on small tracts as well as large mitigation banks. Using criteria set by the Army Corps of Engineers for determining jurisdictional wetlands, we provide you with marked boundaries, electronic GIS referencing maps, field data forms, and jurisdictional determination forms. Have our team of experts come to your pond or lake to survey species, composition, and fish size using our electro-shocking boat. You can use this data to determine the best plan of action to reach your goals. 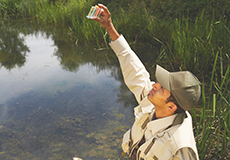 Get stand-alone and group sampling and assessments of plankton. Come to us for sediment sampling with bottom dredge and core samples, Hester-Dendy substrata sampling, and turbidity monitoring. You can also depend on our skilled team for plankton sampling, water sampling with discreet bomb samplers and bailers, and vegetation surveys using random plot transects and / or random grid methods.